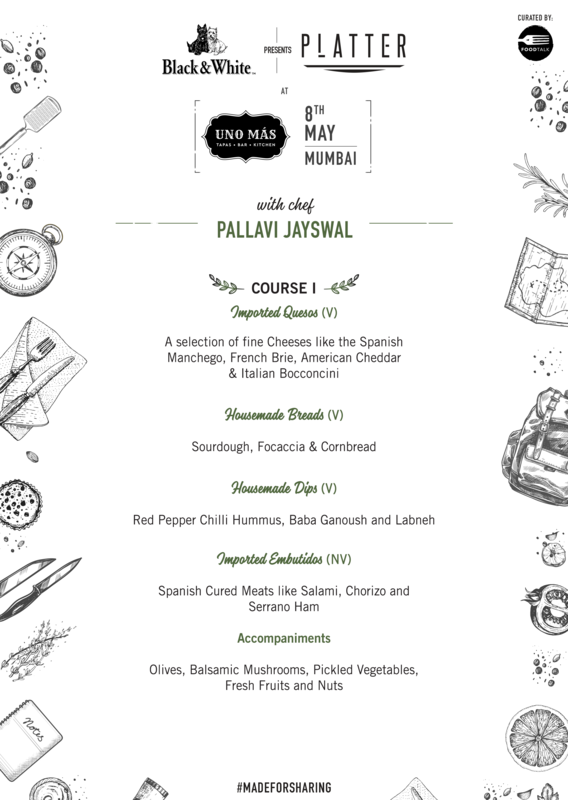 Experience the magic of Spanish eating come to life in the heart of the business district of Mumbai as Chef Pallavi Jayswal and her team at Uno Más present a 5 course Spanish meal paired with Black & White 12 Year Old cocktails put together exclusively for you. Distilled in Scotland with sweet grain spirit and fine malt whisky sourced from Speyside and the Highlands, the blend is resplendent with fresh apples, oranges and floral aromas. 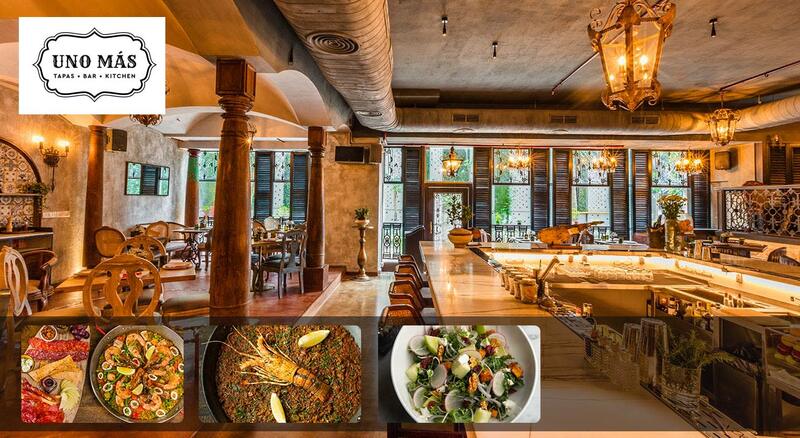 Uno Más breezes into the gourmet circuit of BKC, like a breath of fresh air by recreating iconic tapas and rustic paellas paired with drinks inspired from Spanish colonies around the world. 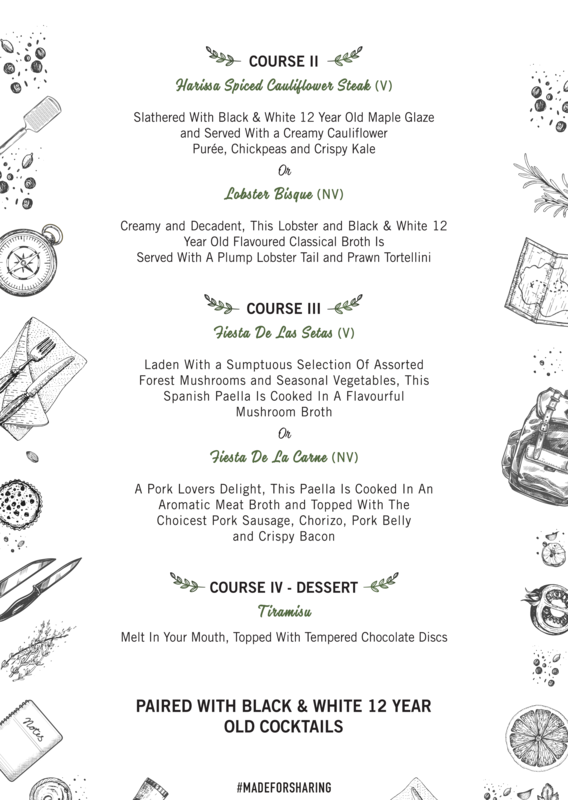 The gourmet excellence of a restaurant coupled with the laid-back vibe of a bar, this tapas kitchen has worked on recreating the ambience of a native Spanish bar with a communal format. Chef, foodie and businesswoman Pallavi Jayswal is a force to be reckoned with. Armed with a Diplôme de Cuisine from Le Cordon Bleu, London, as well as a Level 2 in Wines and Spirits, awarded by WSET, she has worked with multiple restaurants, noted chefs and brands. Pallavi loves to travel and with every visit to a new destination, she chooses to imbibe unique cuisines and cultures into personalised tastes and experiences.